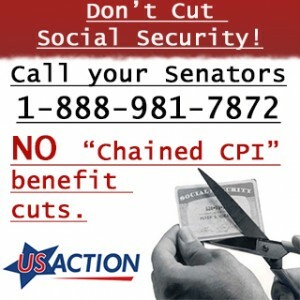 An American coalition united around the simple proposition, Strengthen Social Security… Don’t Cut It. ICAN is part the national coalition to Strengthen Social Security. The coalition is made up of over 50 organizations representing over 30 million Americans. We are here to make sure that real people’s voices are heard. We stand united behind seven commonsense principles. ICAN is working with the Iowa Alliance of Retired Americans (ARA) and a coalition of othergroups on a rally to stand against chained CPI. We’re going to make a human chain in DesMoines and Waterloo, around the federal buildings on July 2nd inconjunction with the National Day of Action. Host a 75th Birthday Celebration for Social Security. With the deficit hawks gearing up to fight for a cut in benefits and to privatize the program, your work is critical to protecting and strengthening Social Security. This Social Security Birthday Celebration Toolkit provides ideas for planning your celebration, and the nuts and bolts for making it go off without a hitch. Web Site: The Strengthen Social Security national coalition web site. Tell the Senate: No Chained CPI Cuts to Social Security! Using a chained consumer price index to adjust Social Security benefits for inflation would make it even harder for seniors to keep up with the cost of health care.